This clever adapter lets you connect to any power amp or speaker cabinet that has a Speakon jack, without cutting off the ends of your 1/4 in. cables. Simply slip the 1/4 in. 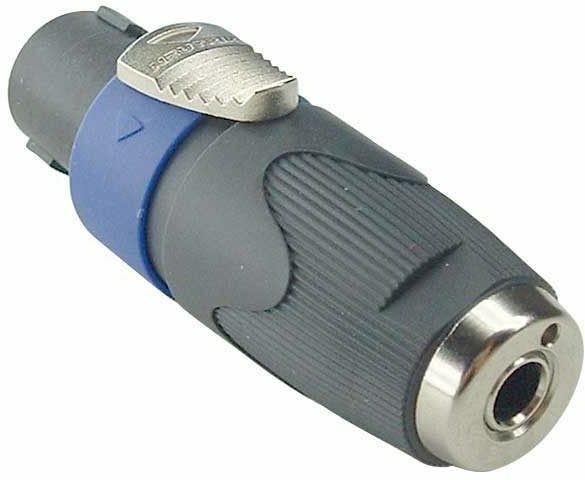 end onto your speaker cable and the Speakon end can be plugged into the amp or cabinet. 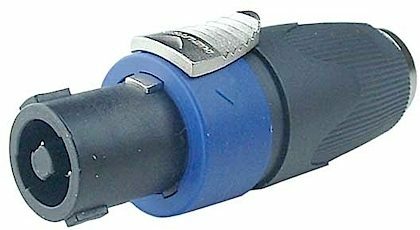 This adapter can be used with equipment rated up to 20 Amperes! Overall: I wished I had known that these existed before I spent so much money on a 20ft cable to connect my monitors but luckily I was browsing through the site and I came up on it and ended up purchasing a pair.